Liczba stron: 597 Jest to ujednolicona liczba stron, która ułatwi Ci porównanie długości książek. Każda strona Legimi to 200 słów. 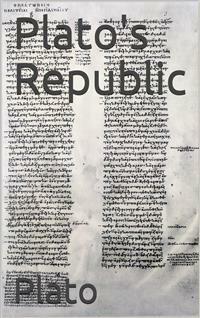 The Republic is a Socratic dialogue, written by Plato around 380 BC, concerning justice, the order and character of the just city-state, and the just man. It is Plato's best-known work, and has proven to be one of the world's most influential works of philosophy and political theory, both intellectually and historically. In the dialogue, Socrates discusses with various Athenians and foreigners about the meaning of justice and whether the just man is happier than the unjust man. They consider the natures of existing regimes and then propose a series of different, hypothetical cities in comparison, culminating in Kallipolis, a city-state ruled by a philosopher king. They also discuss the theory of forms, the immortality of the soul, and the role of the philosopher and of poetry in society. The dialog's setting seems to be during the Peloponnesian War. THE Republic of Plato is the longest of his works with the exception of the Laws, and is certainly the greatest of them. There are nearer approaches to modern metaphysics in the Philebus and in the Sophist; the Politicus or Statesman is more ideal; the form and institutions of the State are more clearly drawn out in the Laws; as works of art, the Symposium and the Protagoras are of higher excellence. But no other Dialogue of Plato has the same largeness of view and the same perfection of style; no other shows an equal knowledge of the world, or contains more of those thoughts which are new as well as old, and not of one age only but of all. Nowhere in Plato is there a deeper irony or a greater wealth of humor or imagery, or more dramatic power. Nor in any other of his writings is the attempt made to interweave life and speculation, or to connect politics with philosophy. The Republic is the centre around which the other Dialogues may be grouped; here philosophy reaches the highest point to which ancient thinkers ever attained. Plato among the Greeks, like Bacon among the moderns, was the first who conceived a method of knowledge, although neither of them always distinguished the bare outline or form from the substance of truth; and both of them had to be content with an abstraction of science which was not yet realized. He was the greatest metaphysical genius whom the world has seen; and in him, more than in any other ancient thinker, the germs of future knowledge are contained. The sciences of logic and psychology, which have supplied so many instruments of thought to after-ages, are based upon the analyses of Socrates and Plato. The principles of definition, the law of contradiction, the fallacy of arguing in a circle, the distinction between the essence and accidents of a thing or notion, between means and ends, between causes and conditions; also the division of the mind into the rational, concupiscent, and irascible elements, or of pleasures and desires into necessary and unnecessary—these and other great forms of thought are all of them to be found in the Republic, and were probably first invented by Plato. The greatest of all logical truths, and the one of which writers on philosophy are most apt to lose sight, the difference between words and things, has been most strenuously insisted on by him, although he has not always avoided the confusion of them in his own writings. But he does not bind up truth in logical formulae,—logic is still veiled in metaphysics; and the science which he imagines to "contemplate all truth and all existence" is very unlike the doctrine of the syllogism which Aristotle claims to have discovered. Neither must we forget that the Republic is but the third part of a still larger design which was to have included an ideal history of Athens, as well as a political and physical philosophy. The fragment of the Critias has given birth to a world-famous fiction, second only in importance to the tale of Troy and the legend of Arthur; and is said as a fact to have inspired some of the early navigators of the sixteenth century. This mythical tale, of which the subject was a history of the wars of the Athenians against the Island of Atlantis, is supposed to be founded upon an unfinished poem of Solon, to which it would have stood in the same relation as the writings of the logographers to the poems of Homer. It would have told of a struggle for Liberty, intended to represent the conflict of Persia and Hellas. We may judge from the noble commencement of the Timaeus, from the fragment of the Critias itself, and from the third book of the Laws, in what manner Plato would have treated this high argument. We can only guess why the great design was abandoned; perhaps because Plato became sensible of some incongruity in a fictitious history, or because he had lost his interest in it, or because advancing years forbade the completion of it; and we may please ourselves with the fancy that had this imaginary narrative ever been finished, we should have found Plato himself sympathizing with the struggle for Hellenic independence, singing a hymn of triumph over Marathon and Salamis, perhaps making the reflection of Herodotus where he contemplates the growth of the Athenian empire—"How brave a thing is freedom of speech, which has made the Athenians so far exceed every other state of Hellas in greatness!" or, more probably, attributing the victory to the ancient good order of Athens and to the favor of Apollo and Athene. Again, Plato may be regarded as the "captain" ('arhchegoz') or leader of a goodly band of followers; for in the Republic is to be found the original of Cicero's De Republica, of St. Augustine's City of God, of the Utopia of Sir Thomas More, and of the numerous other imaginary States which are framed upon the same model. The extent to which Aristotle or the Aristotelian school were indebted to him in the Politics has been little recognized, and the recognition is the more necessary because it is not made by Aristotle himself. The two philosophers had more in common than they were conscious of; and probably some elements of Plato remain still undetected in Aristotle. In English philosophy too, many affinities may be traced, not only in the works of the Cambridge Platonists, but in great original writers like Berkeley or Coleridge, to Plato and his ideas. That there is a truth higher than experience, of which the mind bears witness to herself, is a conviction which in our own generation has been enthusiastically asserted, and is perhaps gaining ground. Of the Greek authors who at the Renaissance brought a new life into the world Plato has had the greatest influence. The Republic of Plato is also the first treatise upon education, of which the writings of Milton and Locke, Rousseau, Jean Paul, and Goethe are the legitimate descendants. Like Dante or Bunyan, he has a revelation of another life; like Bacon, he is profoundly impressed with the unity of knowledge; in the early Church he exercised a real influence on theology, and at the Revival of Literature on politics. Even the fragments of his words when "repeated at second-hand" have in all ages ravished the hearts of men, who have seen reflected in them their own higher nature. He is the father of idealism in philosophy, in politics, in literature. And many of the latest conceptions of modern thinkers and statesmen, such as the unity of knowledge, the reign of law, and the equality of the sexes, have been anticipated in a dream by him. The argument of the Republic is the search after Justice, the nature of which is first hinted at by Cephalus, the just and blameless old man—then discussed on the basis of proverbial morality by Socrates and Polemarchus—then caricatured by Thrasymachus and partially explained by Socrates—reduced to an abstraction by Glaucon and Adeimantus, and having become invisible in the individual reappears at length in the ideal State which is constructed by Socrates. The first care of the rulers is to be education, of which an outline is drawn after the old Hellenic model, providing only for an improved religion and morality, and more simplicity in music and gymnastic, a manlier strain of poetry, and greater harmony of the individual and the State. We are thus led on to the conception of a higher State, in which "no man calls anything his own," and in which there is neither "marrying nor giving in marriage," and "kings are philosophers" and "philosophers are kings;" and there is another and higher education, intellectual as well as moral and religious, of science as well as of art, and not of youth only but of the whole of life. Such a State is hardly to be realized in this world and would quickly degenerate. To the perfect ideal succeeds the government of the soldier and the lover of honor, this again declining into democracy, and democracy into tyranny, in an imaginary but regular order having not much resemblance to the actual facts. When "the wheel has come full circle" we do not begin again with a new period of human life; but we have passed from the best to the worst, and there we end. The subject is then changed and the old quarrel of poetry and philosophy which had been more lightly treated in the earlier books of the Republic is now resumed and fought out to a conclusion. Poetry is discovered to be an imitation thrice removed from the truth, and Homer, as well as the dramatic poets, having been condemned as an imitator, is sent into banishment along with them. And the idea of the State is supplemented by the revelation of a future life. The division into books, like all similar divisions, is probably later than the age of Plato. The natural divisions are five in number;—(1) Book I and the first half of Book II down to the paragraph beginning, "I had always admired the genius of Glaucon and Adeimantus," which is introductory; the first book containing a refutation of the popular and sophistical notions of justice, and concluding, like some of the earlier Dialogues, without arriving at any definite result. To this is appended a restatement of the nature of justice according to common opinion, and an answer is demanded to the question—What is justice, stripped of appearances? The second division (2) includes the remainder of the second and the whole of the third and fourth books, which are mainly occupied with the construction of the first State and the first education. The third division (3) consists of the fifth, sixth, and seventh books, in which philosophy rather than justice is the subject of inquiry, and the second State is constructed on principles of communism and ruled by philosophers, and the contemplation of the idea of good takes the place of the social and political virtues. In the eighth and ninth books (4) the perversions of States and of the individuals who correspond to them are reviewed in succession; and the nature of pleasure and the principle of tyranny are further analyzed in the individual man. The tenth book (5) is the conclusion of the whole, in which the relations of philosophy to poetry are finally determined, and the happiness of the citizens in this life, which has now been assured, is crowned by the vision of another. Or a more general division into two parts may be adopted; the first (Books I-IV) containing the description of a State framed generally in accordance with Hellenic notions of religion and morality, while in the second (Books V-X) the Hellenic State is transformed into an ideal kingdom of philosophy, of which all other governments are the perversions. These two points of view are really opposed, and the opposition is only veiled by the genius of Plato. The Republic, like the Phaedrus, is an imperfect whole; the higher light of philosophy breaks through the regularity of the Hellenic temple, which at last fades away into the heavens. Whether this imperfection of structure arises from an enlargement of the plan; or from the imperfect reconcilement in the writer's own mind of the struggling elements of thought which are now first brought together by him; or, perhaps, from the composition of the work at different times—are questions, like the similar question about the Iliad and the Odyssey, which are worth asking, but which cannot have a distinct answer. In the age of Plato there was no regular mode of publication, and an author would have the less scruple in altering or adding to a work which was known only to a few of his friends. There is no absurdity in supposing that he may have laid his labors aside for a time, or turned from one work to another; and such interruptions would be more likely to occur in the case of a long than of a short writing. In all attempts to determine the chronological he order of the Platonic writings on internal evidence, this uncertainty about any single Dialogue being composed at one time is a disturbing element, which must be admitted to affect longer works, such as the Republic and the Laws, more than shorter ones. But, on the other hand, the seeming discrepancies of the Republic may only arise out of the discordant elements which the philosopher has attempted to unite in a single whole, perhaps without being himself able to recognize the inconsistency which is obvious to us. For there is a judgment of after ages which few great writers have ever been able to anticipate for themselves. They do not perceive the want of connection in their own writings, or the gaps in their systems which are visible enough to those who come after them. In the beginnings of literature and philosophy, amid the first efforts of thought and language, more inconsistencies occur than now, when the paths of speculation are well worn and the meaning of words precisely defined. For consistency, too, is the growth of time; and some of the greatest creations of the human mind have been wanting in unity. Tried by this test, several of the Platonic Dialogues, according to our modern ideas, appear to be defective, but the deficiency is no proof that they were composed at different times or by different hands. And the supposition that the Republic was written uninterruptedly and by a continuous effort is in some degree confirmed by the numerous references from one part of the work to another. The second title, "Concerning Justice," is not the one by which the Republic is quoted, either by Aristotle or generally in antiquity, and, like the other second titles of the Platonic Dialogues, may therefore be assumed to be of later date. Morgenstern and others have asked whether the definition of justice, which is the professed aim, or the construction of the State is the principal argument of the work. The answer is, that the two blend in one, and are two faces of the same truth; for justice is the order of the State, and the State is the visible embodiment of justice under the conditions of human society. The one is the soul and the other is the body, and the Greek ideal of the State, as of the individual, is a fair mind in a fair body. In Hegelian phraseology the State is the reality of which justice is the ideal. Or, described in Christian language, the kingdom of God is within, and yet develops into a Church or external kingdom; "the house not made with hands, eternal in the heavens," is reduced to the proportions of an earthly building. Or, to use a Platonic image, justice and the State are the warp and the woof which run through the whole texture. And when the constitution of the State is completed, the conception of justice is not dismissed, but reappears under the same or different names throughout the work, both as the inner law of the individual soul, and finally as the principle of rewards and punishments in another life. The virtues are based on justice, of which common honesty in buying and selling is the shadow, and justice is based on the idea of good, which is the harmony of the world, and is reflected both in the institutions of States and in motions of the heavenly bodies. The Timaeus, which takes up the political rather than the ethical side of the Republic, and is chiefly occupied with hypotheses concerning the outward world, yet contains many indications that the same law is supposed to reign over the State, over nature, and over man. Too much, however, has been made of this question both in ancient and in modern times. There is a stage of criticism in which all works, whether of nature or of art, are referred to design. Now in ancient writings, and indeed in literature generally, there remains often a large element which was not comprehended in the original design. For the plan grows under the author's hand; new thoughts occur to him in the act of writing; he has not worked out the argument to the end before he begins. The reader who seeks to find some one idea under which the whole may be conceived, must necessarily seize on the vaguest and most general. Thus Stallbaum, who is dissatisfied with the ordinary explanations of the argument of the Republic, imagines himself to have found the true argument "in the representation of human life in a State perfected by justice and governed according to the idea of good." There may be some use in such general descriptions, but they can hardly be said to express the design of the writer. The truth is, that we may as well speak of many designs as of one; nor need anything be excluded from the plan of a great work to which the mind is naturally led by the association of ideas, and which does not interfere with the general purpose. What kind or degree of unity is to be sought after in a building, in the plastic arts, in poetry, in prose, is a problem which has to be determined relatively to the subject-matter. To Plato himself, the inquiry "what was the intention of the writer," or "what was the principal argument of the Republic" would have been hardly intelligible, and therefore had better be at once dismissed. Is not the Republic the vehicle of three or four great truths which, to Plato's own mind, are most naturally represented in the form of the State? Just as in the Jewish prophets the reign of Messiah, or "the day of the Lord," or the suffering Servant or people of God, or the "Sun of righteousness with healing in his wings" only convey, to us at least, their great spiritual ideals, so through the Greek State Plato reveals to us his own thoughts about divine perfection, which is the idea of good—like the sun in the visible world;—about human perfection, which is justice—about education beginning in youth and continuing in later years—about poets and sophists and tyrants who are the false teachers and evil rulers of mankind—about "the world" which is the embodiment of them—about a kingdom which exists nowhere upon earth but is laid up in heaven to be the pattern and rule of human life. No such inspired creation is at unity with itself, any more than the clouds of heaven when the sun pierces through them. Every shade of light and dark, of truth, and of fiction which is the veil of truth, is allowable in a work of philosophical imagination. It is not all on the same plane; it easily passes from ideas to myths and fancies, from facts to figures of speech. It is not prose but poetry, at least a great part of it, and ought not to be judged by the rules of logic or the probabilities of history. The writer is not fashioning his ideas into an artistic whole; they take possession of him and are too much for him. We have no need therefore to discuss whether a State such as Plato has conceived is practicable or not, or whether the outward form or the inward life came first into the mind of the writer. For the practicability of his ideas has nothing to do with their truth; and the highest thoughts to which he attains may be truly said to bear the greatest "marks of design"—justice more than the external frame-work of the State, the idea of good more than justice. The great science of dialectic or the organization of ideas has no real content; but is only a type of the method or spirit in which the higher knowledge is to be pursued by the spectator of all time and all existence. It is in the fifth, sixth, and seventh books that Plato reaches the "summit of speculation," and these, although they fail to satisfy the requirements of a modern thinker, may therefore be regarded as the most important, as they are also the most original, portions of the work. It is not necessary to discuss at length a minor question which has been raised by Boeckh, respecting the imaginary date at which the conversation was held (the year 411 B. C. which is proposed by him will do as well as any other); for a writer of fiction, and especially a writer who, like Plato, is notoriously careless of chronology, only aims at general probability. Whether all the persons mentioned in the Republic could ever have met at any one time is not a difficulty which would have occurred to an Athenian reading the work forty years later, or to Plato himself at the time of writing (any more than to Shakespeare respecting one of his own dramas); and need not greatly trouble us now. Yet this may be a question having no answer "which is still worth asking," because the investigation shows that we can not argue historically from the dates in Plato; it would be useless therefore to waste time in inventing far-fetched reconcilements of them in order avoid chronological difficulties, such, for example, as the conjecture of C. F. Hermann, that Glaucon and Adeimantus are not the brothers but the uncles of Plato, or the fancy of Stallbaum that Plato intentionally left anachronisms indicating the dates at which some of his Dialogues were written. The principal characters in the Republic are Cephalus, Polemarchus, Thrasymachus, Socrates, Glaucon, and Adeimantus. Cephalus appears in the introduction only, Polemarchus drops at the end of the first argument, and Thrasymachus is reduced to silence at the close of the first book. The main discussion is carried on by Socrates, Glaucon, and Adeimantus. Among the company are Lysias (the orator) and Euthydemus, the sons of Cephalus and brothers of Polemarchus, an unknown Charmantides—these are mute auditors; also there is Cleitophon, who once interrupts, where, as in the Dialogue which bears his name, he appears as the friend and ally of Thrasymachus. Cephalus, the patriarch of house, has been appropriately engaged in offering a sacrifice. He is the pattern of an old man who has almost done with life, and is at peace with himself and with all mankind. He feels that he is drawing nearer to the world below, and seems to linger around the memory of the past. He is eager that Socrates should come to visit him, fond of the poetry of the last generation, happy in the consciousness of a well-spent life, glad at having escaped from the tyranny of youthful lusts. His love of conversation, his affection, his indifference to riches, even his garrulity, are interesting traits of character. He is not one of those who have nothing to say, because their whole mind has been absorbed in making money. Yet he acknowledges that riches have the advantage of placing men above the temptation to dishonesty or falsehood. The respectful attention shown to him by Socrates, whose love of conversation, no less than the mission imposed upon him by the Oracle, leads him to ask questions of all men, young and old alike, should also be noted. Who better suited to raise the question of justice than Cephalus, whose life might seem to be the expression of it? The moderation with which old age is pictured by Cephalus as a very tolerable portion of existence is characteristic, not only of him, but of Greek feeling generally, and contrasts with the exaggeration of Cicero in the De Senectute. The evening of life is described by Plato in the most expressive manner, yet with the fewest possible touches. As Cicero remarks (Ep. ad Attic. iv. 16), the aged Cephalus would have been out of place in the discussion which follows, and which he could neither have understood nor taken part in without a violation of dramatic propriety. His "son and heir" Polemarchus has the frankness and impetuousness of youth; he is for detaining Socrates by force in the opening scene, and will not "let him off" on the subject of women and children. Like Cephalus, he is limited in his point of view, and represents the proverbial stage of morality which has rules of life rather than principles; and he quotes Simonides as his father had quoted Pindar. But after this he has no more to say; the answers which he makes are only elicited from him by the dialectic of Socrates. He has not yet experienced the influence of the Sophists like Glaucon and Adeimantus, nor is he sensible of the necessity of refuting them; he belongs to the pre-Socratic or pre-dialectical age. He is incapable of arguing, and is bewildered by Socrates to such a degree that he does not know what he is saying. He is made to admit that justice is a thief, and that the virtues follow the analogy of the arts. From his brother Lysias we learn that he fell a victim to the Thirty Tyrants, but no allusion is here made to his fate, nor to the circumstance that Cephalus and his family were of Syracusan origin, and had migrated from Thurii to Athens. The "Chalcedonian giant," Thrasymachus, of whom we have already heard in the Phaedrus, is the personification of the Sophists, according to Plato's conception of them, in some of their worst characteristics. He is vain and blustering, refusing to discourse unless he is paid, fond of making an oration, and hoping thereby to escape the inevitable Socrates; but a mere child in argument, and unable to foresee that the next "move" (to use a Platonic expression) will "shut him up." He has reached the stage of framing general notions, and in this respect is in advance of Cephalus and Polemarchus. But he is incapable of defending them in a discussion, and vainly tries to cover his confusion in banter and insolence. Whether such doctrines as are attributed to him by Plato were really held either by him or by any other Sophist is uncertain; in the infancy of philosophy serious errors about morality might easily grow up—they are certainly put into the mouths of speakers in Thucydides; but we are concerned at present with Plato's description of him, and not with the historical reality. The inequality of the contest adds greatly to the humor of the scene. The pompous and empty Sophist is utterly helpless in the hands of the great master of dialectic, who knows how to touch all the springs of vanity and weakness in him. He is greatly irritated by the irony of Socrates, but his noisy and imbecile rage only lays him more and more open to the thrusts of his assailant. His determination to cram down their throats, or put "bodily into their souls" his own words, elicits a cry of horror from Socrates. The state of his temper is quite as worthy of remark as the process of the argument. Nothing is more amusing than his complete submission when he has been once thoroughly beaten. At first he seems to continue the discussion with reluctance, but soon with apparent good-will, and he even testifies his interest at a later stage by one or two occasional remarks. When attacked by Glaucon he is humorously protected by Socrates "as one who has never been his enemy and is now his friend." From Cicero and Quintilian and from Aristotle's Rhetoric we learn that the Sophist whom Plato has made so ridiculous was a man of note whose writings were preserved in later ages. The play on his name which was made by his contemporary Herodicus, "thou wast ever bold in battle," seems to show that the description of him is not devoid of verisimilitude. When Thrasymachus has been silenced, the two principal respondents, Glaucon and Adeimantus, appear on the scene: here, as in Greek tragedy, three actors are introduced. At first sight the two sons of Ariston may seem to wear a family likeness, like the two friends Simmias and Cebes in the Phaedo. But on a nearer examination of them the similarity vanishes, and they are seen to be distinct characters. Glaucon is the impetuous youth who can "just never have enough of fechting" (cf. the character of him in Xen. Mem. iii. 6); the man of pleasure who is acquainted with the mysteries of love; the "juvenis qui gaudet canibus," and who improves the breed of animals; the lover of art and music who has all the experiences of youthful life. He is full of quickness and penetration, piercing easily below the clumsy platitudes of Thrasymachus to the real difficulty; he turns out to the light the seamy side of human life, and yet does not lose faith in the just and true. It is Glaucon who seizes what may be termed the ludicrous relation of the philosopher to the world, to whom a state of simplicity is "a city of pigs," who is always prepared with a jest when the argument offers him an opportunity, and who is ever ready to second the humor of Socrates and to appreciate the ridiculous, whether in the connoisseurs of music, or in the lovers of theatricals, or in the fantastic behavior of the citizens of democracy. His weaknesses are several times alluded to by Socrates, who, however, will not allow him to be attacked by his brother Adeimantus. He is a soldier, and, like Adeimantus, has been distinguished at the battle of Megara. The character of Adeimantus is deeper and graver, and the profounder objections are commonly put into his mouth. Glaucon is more demonstrative, and generally opens the game. Adeimantus pursues the argument further. Glaucon has more of the liveliness and quick sympathy of youth; Adeimantus has the maturer judgment of a grown-up man of the world. In the second book, when Glaucon insists that justice and injustice shall be considered without regard to their consequences, Adeimantus remarks that they are regarded by mankind in general only for the sake of their consequences; and in a similar vein of reflection he urges at the beginning of the fourth book that Socrates falls in making his citizens happy, and is answered that happiness is not the first but the second thing, not the direct aim but the indirect consequence of the good government of a State. In the discussion about religion and mythology, Adeimantus is the respondent, but Glaucon breaks in with a slight jest, and carries on the conversation in a lighter tone about music and gymnastic to the end of the book. It is Adeimantus again who volunteers the criticism of common sense on the Socratic method of argument, and who refuses to let Socrates pass lightly over the question of women and children. It is Adeimantus who is the respondent in the more argumentative, as Glaucon in the lighter and more imaginative portions of the Dialogue. For example, throughout the greater part of the sixth book, the causes of the corruption of philosophy and the conception of the idea of good are discussed with Adeimantus. Then Glaucon resumes his place of principal respondent; but he has a difficulty in apprehending the higher education of Socrates, and makes some false hits in the course of the discussion. Once more Adeimantus returns with the allusion to his brother Glaucon whom he compares to the contentious State; in the next book he is again superseded, and Glaucon continues to the end. Thus in a succession of characters Plato represents the successive stages of morality, beginning with the Athenian gentleman of the olden time, who is followed by the practical man of that day regulating his life by proverbs and saws; to him succeeds the wild generalization of the Sophists, and lastly come the young disciples of the great teacher, who know the sophistical arguments but will not be convinced by them, and desire to go deeper into the nature of things. These too, like Cephalus, Polemarchus, Thrasymachus, are clearly distinguished from one another. Neither in the Republic, nor in any other Dialogue of Plato, is a single character repeated. The delineation of Socrates in the Republic is not wholly consistent. In the first book we have more of the real Socrates, such as he is depicted in the Memorabilia of Xenophon, in the earliest Dialogues of Plato, and in the Apology. He is ironical, provoking, questioning, the old enemy of the Sophists, ready to put on the mask of Silenus as well as to argue seriously. But in the sixth book his enmity towards the Sophists abates; he acknowledges that they are the representatives rather than the corrupters of the world. He also becomes more dogmatic and constructive, passing beyond the range either of the political or the speculative ideas of the real Socrates. In one passage Plato himself seems to intimate that the time had now come for Socrates, who had passed his whole life in philosophy, to give his own opinion and not to be always repeating the notions of other men. There is no evidence that either the idea of good or the conception of a perfect State were comprehended in the Socratic teaching, though he certainly dwelt on the nature of the universal and of final causes (cp. Xen. Mem. i. 4; Phaedo 97); and a deep thinker like him in his thirty or forty years of public teaching, could hardly have falled to touch on the nature of family relations, for which there is also some positive evidence in the Memorabilia (Mem. i. 2, 51 foll.) The Socratic method is nominally retained; and every inference is either put into the mouth of the respondent or represented as the common discovery of him and Socrates. But any one can see that this is a mere form, of which the affectation grows wearisome as the work advances. The method of inquiry has passed into a method of teaching in which by the help of interlocutors the same thesis is looked at from various points of view. The nature of the process is truly characterized by Glaucon, when he describes himself as a companion who is not good for much in an investigation, but can see what he is shown, and may, perhaps, give the answer to a question more fluently than another. Neither can we be absolutely certain that, Socrates himself taught the immortality of the soul, which is unknown to his disciple Glaucon in the Republic; nor is there any reason to suppose that he used myths or revelations of another world as a vehicle of instruction, or that he would have banished poetry or have denounced the Greek mythology. His favorite oath is retained, and a slight mention is made of the daemonium, or internal sign, which is alluded to by Socrates as a phenomenon peculiar to himself. A real element of Socratic teaching, which is more prominent in the Republic than in any of the other Dialogues of Plato, is the use of example and illustration ('taphorhtika auto prhospherhontez'): "Let us apply the test of common instances." "You," says Adeimantus, ironically, in the sixth book, "are so unaccustomed to speak in images." And this use of examples or images, though truly Socratic in origin, is enlarged by the genius of Plato into the form of an allegory or parable, which embodies in the concrete what has been already described, or is about to be described, in the abstract. Thus the figure of the cave in Book VII is a recapitulation of the divisions of knowledge in Book VI. The composite animal in Book IX is an allegory of the parts of the soul. The noble captain and the ship and the true pilot in Book VI are a figure of the relation of the people to the philosophers in the State which has been described. Other figures, such as the dog in the second, third, and fourth books, or the marriage of the portionless maiden in the sixth book, or the drones and wasps in the eighth and ninth books, also form links of connection in long passages, or are used to recall previous discussions. Plato is most true to the character of his master when he describes him as "not of this world." And with this representation of him the ideal State and the other paradoxes of the Republic are quite in accordance, though they can not be shown to have been speculations of Socrates. To him, as to other great teachers both philosophical and religious, when they looked upward, the world seemed to be the embodiment of error and evil. The common sense of mankind has revolted against this view, or has only partially admitted it. And even in Socrates himself the sterner judgment of the multitude at times passes into a sort of ironical pity or love. Men in general are incapable of philosophy, and are therefore at enmity with the philosopher; but their misunderstanding of him is unavoidable: for they have never seen him as he truly is in his own image; they are only acquainted with artificial systems possessing no native force of truth—words which admit of many applications. Their leaders have nothing to measure with, and are therefore ignorant of their own stature. But they are to be pitied or laughed at, not to be quarrelled with; they mean well with their nostrums, if they could only learn that they are cutting off a Hydra's head. This moderation towards those who are in error is one of the most characteristic features of Socrates in the Republic. In all the different representations of Socrates, whether of Xenophon or Plato, and the differences of the earlier or later Dialogues, he always retains the character of the unwearied and disinterested seeker after truth, without which he would have ceased to be Socrates. Leaving the characters we may now analyze the contents of the Republic, and then proceed to consider (1) The general aspects of this Hellenic ideal of the State, (2) The modern lights in which the thoughts of Plato may be read. I WENT down yesterday to the Piraeus with Glaucon the son of Ariston, that I might offer up my prayers to the goddess; and also because I wanted to see in what manner they would celebrate the festival, which was a new thing. I was delighted with the procession of the inhabitants; but that of the Thracians was equally, if not more, beautiful. When we had finished our prayers and viewed the spectacle, we turned in the direction of the city; and at that instant Polemarchus the son of Cephalus chanced to catch sight of us from a distance as we were starting on our way home, and told his servant to run and bid us wait for him. The servant took hold of me by the cloak behind, and said: Polemarchus desires you to wait. Certainly we will, said Glaucon; and in a few minutes Polemarchus appeared, and with him Adeimantus, Glaucon's brother, Niceratus the son of Nicias, and several others who had been at the procession. Polemarchus said to me: I perceive, Socrates, that you and our companion are already on your way to the city. I replied: There is nothing which for my part I like better, Cephalus, than conversing with aged men; for I regard them as travellers who have gone a journey which I too may have to go, and of whom I ought to enquire, whether the way is smooth and easy, or rugged and difficult. And this is a question which I should like to ask of you who have arrived at that time which the poets call the 'threshold of old age'—Is life harder towards the end, or what report do you give of it? I will tell you, Socrates, he said, what my own feeling is. Men of my age flock together; we are birds of a feather, as the old proverb says; and at our meetings the tale of my acquaintance commonly is—I cannot eat, I cannot drink; the pleasures of youth and love are fled away: there was a good time once, but now that is gone, and life is no longer life. Some complain of the slights which are put upon them by relations, and they will tell you sadly of how many evils their old age is the cause. But to me, Socrates, these complainers seem to blame that which is not really in fault. For if old age were the cause, I too being old, and every other old man, would have felt as they do. But this is not my own experience, nor that of others whom I have known. How well I remember the aged poet Sophocles, when in answer to the question, How does love suit with age, Sophocles,—are you still the man you were? Peace, he replied; most gladly have I escaped the thing of which you speak; I feel as if I had escaped from a mad and furious master. His words have often occurred to my mind since, and they seem as good to me now as at the time when he uttered them. For certainly old age has a great sense of calm and freedom; when the passions relax their hold, then, as Sophocles says, we are freed from the grasp not of one mad master only, but of many. The truth is, Socrates, that these regrets, and also the complaints about relations, are to be attributed to the same cause, which is not old age, but men's characters and tempers; for he who is of a calm and happy nature will hardly feel the pressure of age, but to him who is of an opposite disposition youth and age are equally a burden. You are right, he replied; they are not convinced: and there is something in what they say; not, however, so much as they imagine. I might answer them as Themistocles answered the Seriphian who was abusing him and saying that he was famous, not for his own merits but because he was an Athenian: 'If you had been a native of my country or I of yours, neither of us would have been famous.' And to those who are not rich and are impatient of old age, the same reply may be made; for to the good poor man old age cannot be a light burden, nor can a bad rich man ever have peace with himself. That was why I asked you the question, I replied, because I see that you are indifferent about money, which is a characteristic rather of those who have inherited their fortunes than of those who have acquired them; the makers of fortunes have a second love of money as a creation of their own, resembling the affection of authors for their own poems, or of parents for their children, besides that natural love of it for the sake of use and profit which is common to them and all men. And hence they are very bad company, for they can talk about nothing but the praises of wealth. That is true, he said. Yes, that is very true, but may I ask another question? What do you consider to be the greatest blessing which you have reaped from your wealth? Hope, he says, cherishes the soul of him who lives in justice and holiness and is the nurse of his age and the companion of his journey;—hope which is mightiest to sway the restless soul of man. I should be sorry to doubt the word of such a wise and inspired man, but his meaning, though probably clear to you, is the reverse of clear to me. For he certainly does not mean, as we were now saying that I ought to return a return a deposit of arms or of anything else to one who asks for it when he is not in his right senses; and yet a deposit cannot be denied to be a debt. And in what sort of actions or with a view to what result is the just man most able to do harm to his enemy and good to his friends? And so of all the other things;—justice is useful when they are useless, and useless when they are useful? And so, you and Homer and Simonides are agreed that justice is an art of theft; to be practised however 'for the good of friends and for the harm of enemies,'—that was what you were saying? And can the just by justice make men unjust, or speaking general can the good by virtue make them bad? Then if a man says that justice consists in the repayment of debts, and that good is the debt which a man owes to his friends, and evil the debt which he owes to his enemies,—to say this is not wise; for it is not true, if, as has been clearly shown, the injuring of another can be in no case just. He roared out to the whole company: What folly. Socrates, has taken possession of you all? And why, sillybillies, do you knock under to one another? I say that if you want really to know what justice is, you should not only ask but answer, and you should not seek honour to yourself from the refutation of an opponent, but have your own answer; for there is many a one who can ask and cannot answer. And now I will not have you say that justice is duty or advantage or profit or gain or interest, for this sort of nonsense will not do for me; I must have clearness and accuracy. Thrasymachus, I said, with a quiver, don't be hard upon us. Polemarchus and I may have been guilty of a little mistake in the argument, but I can assure you that the error was not intentional. If we were seeking for a piece of gold, you would not imagine that we were 'knocking under to one another,' and so losing our chance of finding it. And why, when we are seeking for justice, a thing more precious than many pieces of gold, do you say that we are weakly yielding to one another and not doing our utmost to get at the truth? Nay, my good friend, we are most willing and anxious to do so, but the fact is that we cannot. And if so, you people who know all things should pity us and not be angry with us. How characteristic of Socrates! he replied, with a bitter laugh;—that's your ironical style! Did I not foresee—have I not already told you, that whatever he was asked he would refuse to answer, and try irony or any other shuffle, in order that he might avoid answering? You are a philosopher, Thrasymachus, I replied, and well know that if you ask a person what numbers make up twelve, taking care to prohibit him whom you ask from answering twice six, or three times four, or six times two, or four times three, 'for this sort of nonsense will not do for me,'—then obviously, that is your way of putting the question, no one can answer you. But suppose that he were to retort, 'Thrasymachus, what do you mean? If one of these numbers which you interdict be the true answer to the question, am I falsely to say some other number which is not the right one?—is that your meaning? '—How would you answer him?